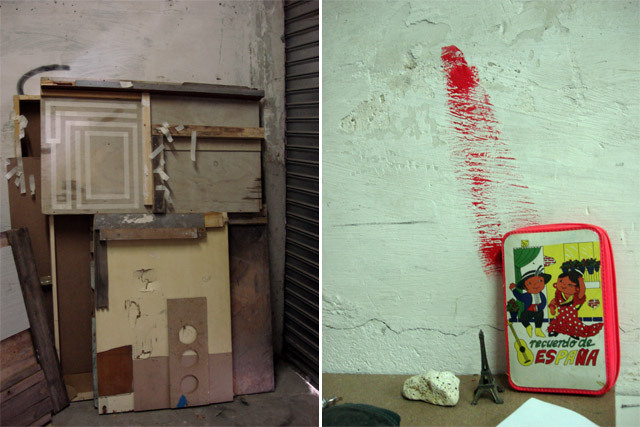 To expose street art in a gallery is always delicate. 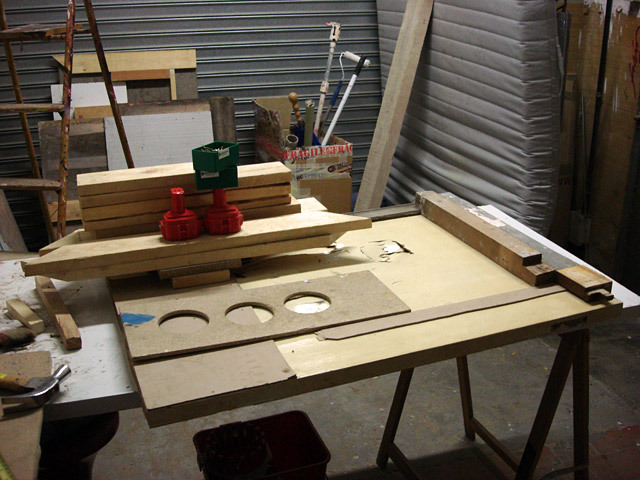 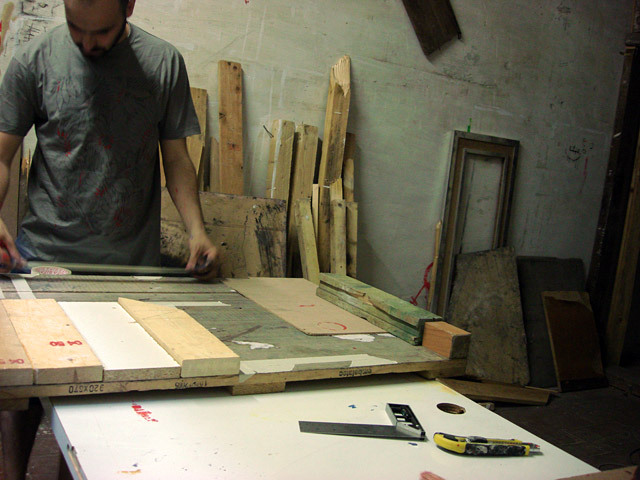 Without the surrounding elements, the work usually loses its sense. 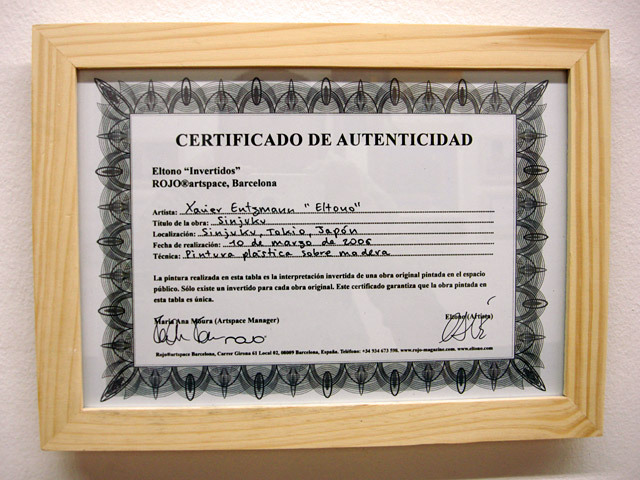 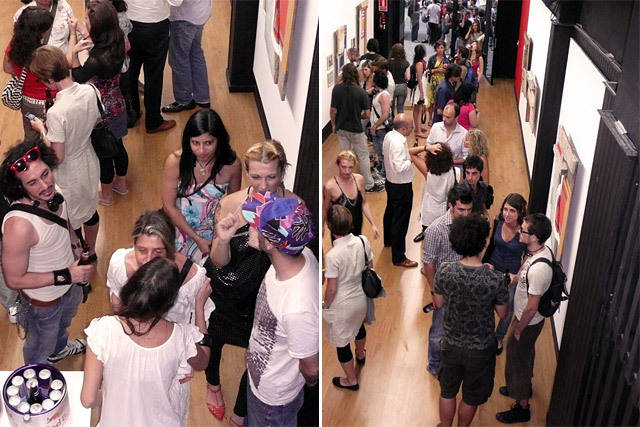 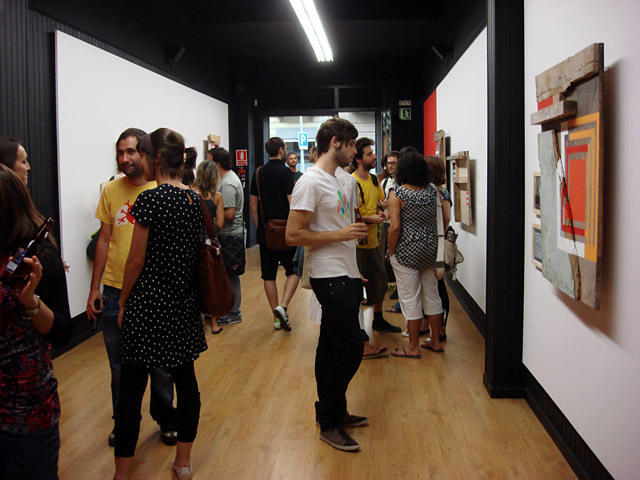 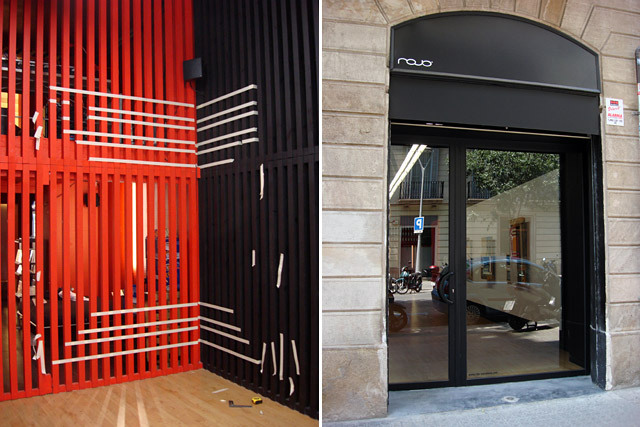 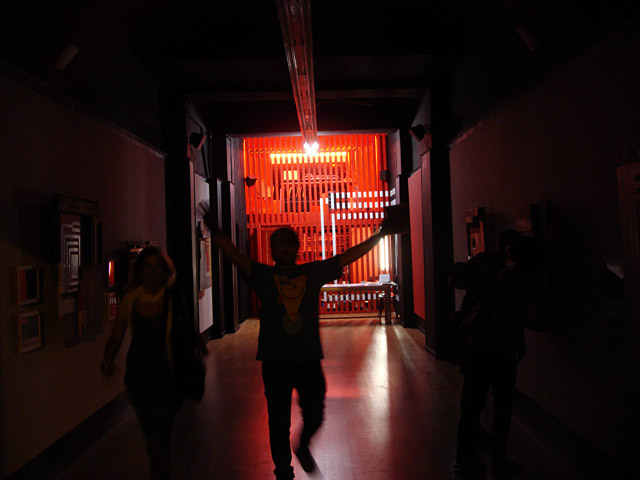 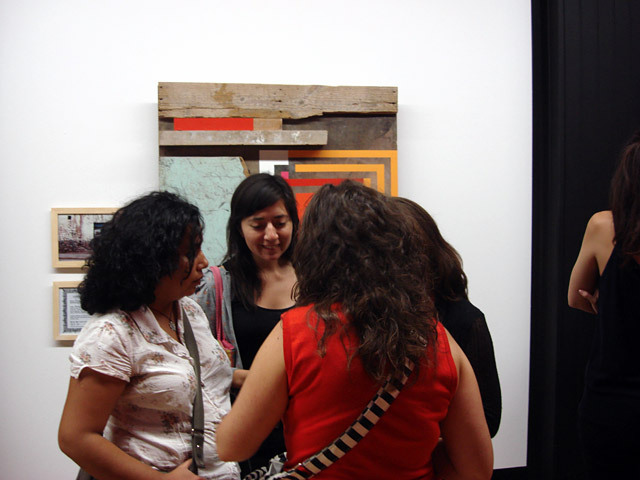 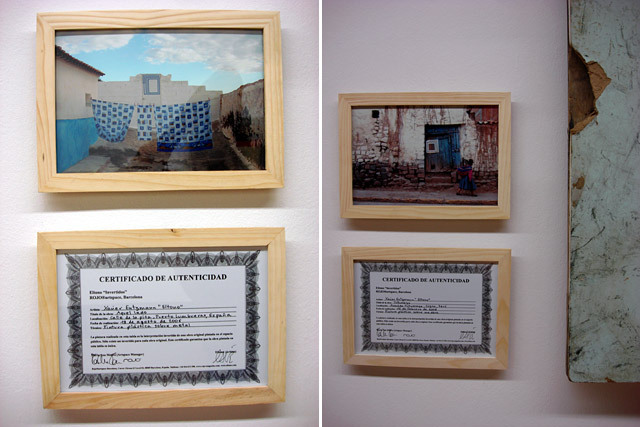 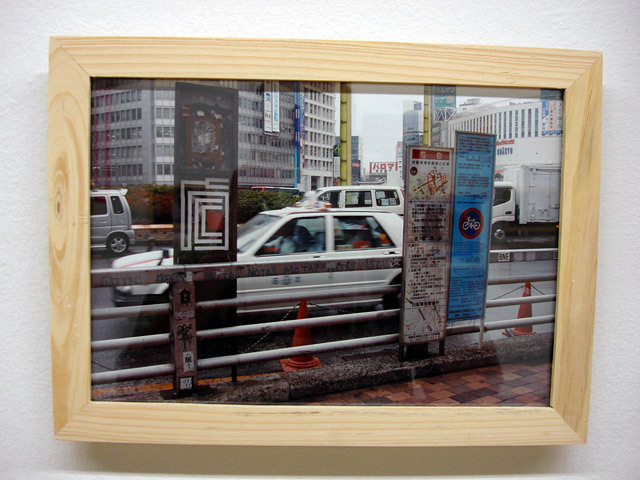 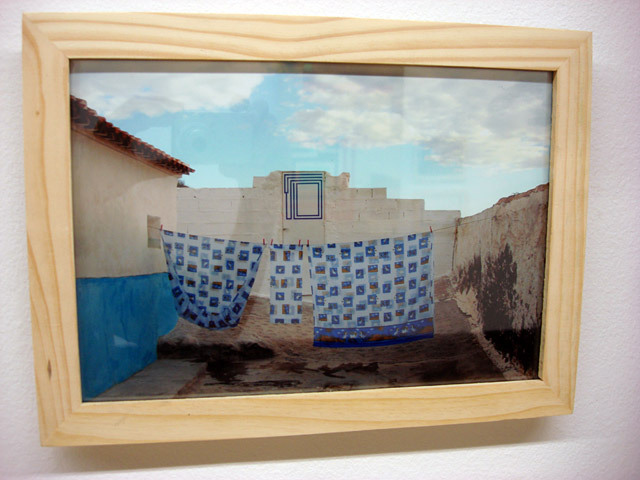 In order to solve this problem, Eltono always tries to create a relation between the street and the gallery. 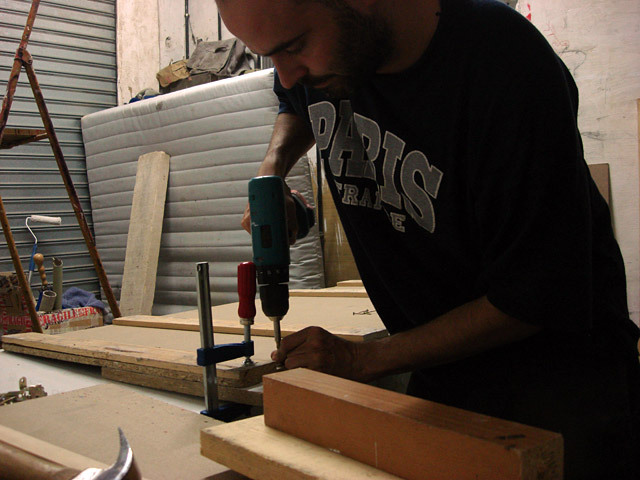 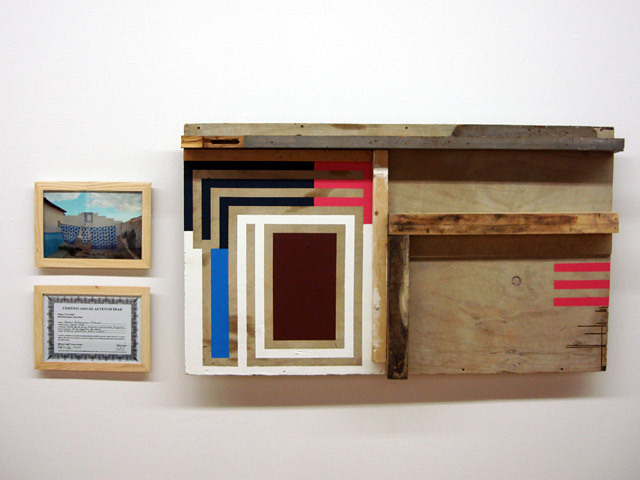 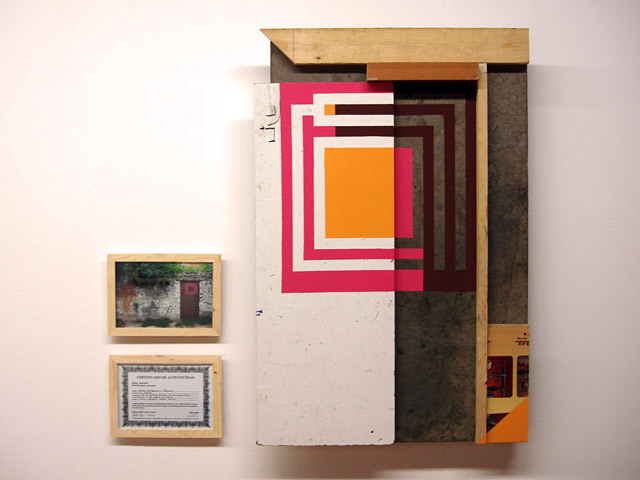 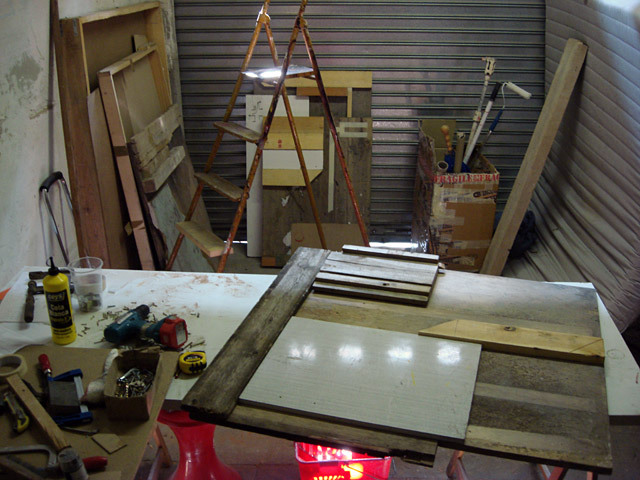 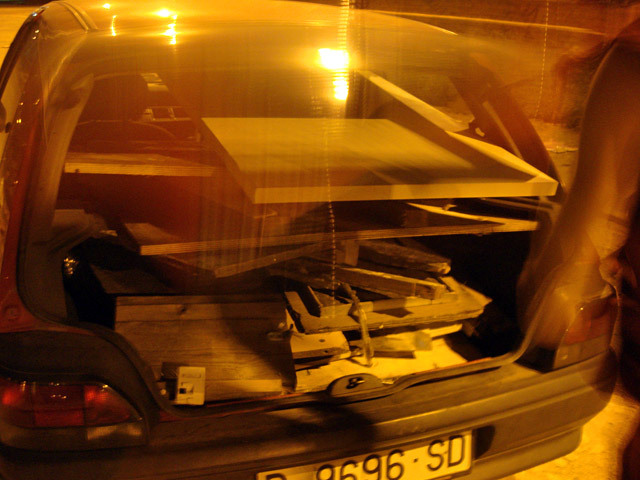 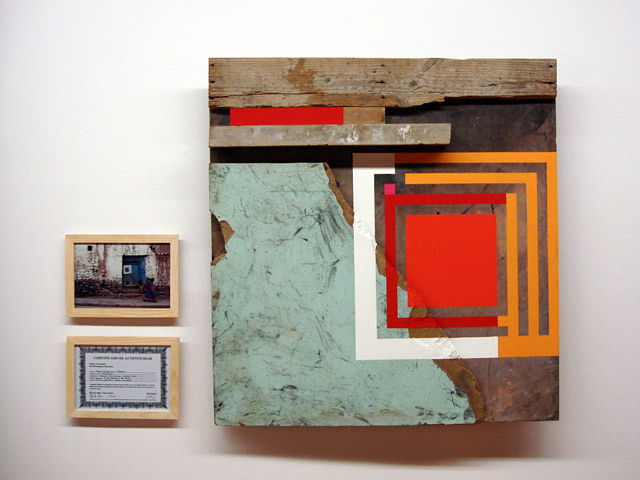 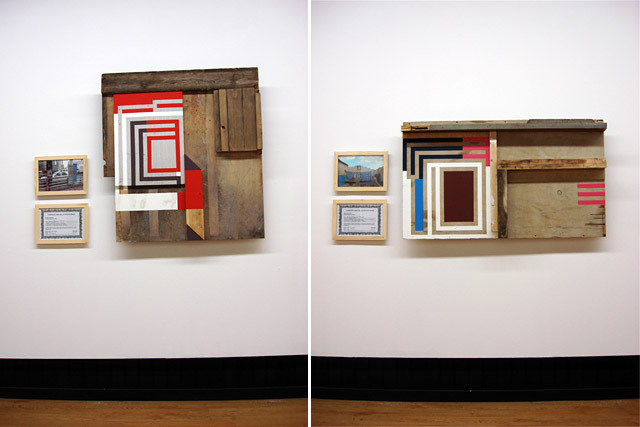 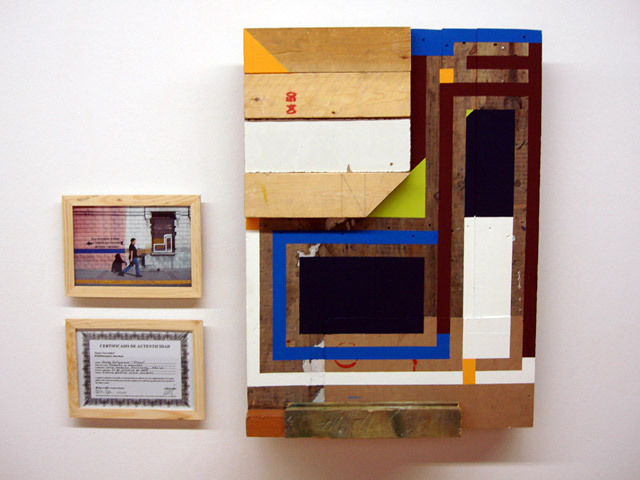 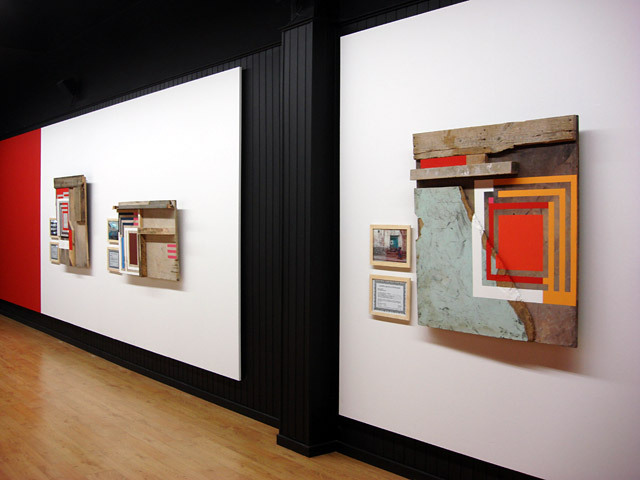 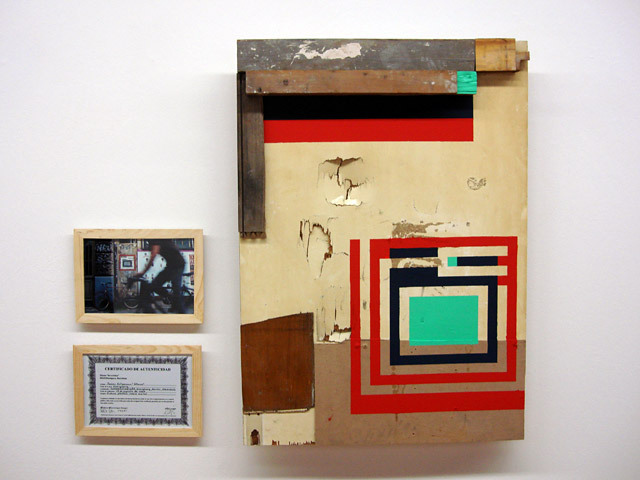 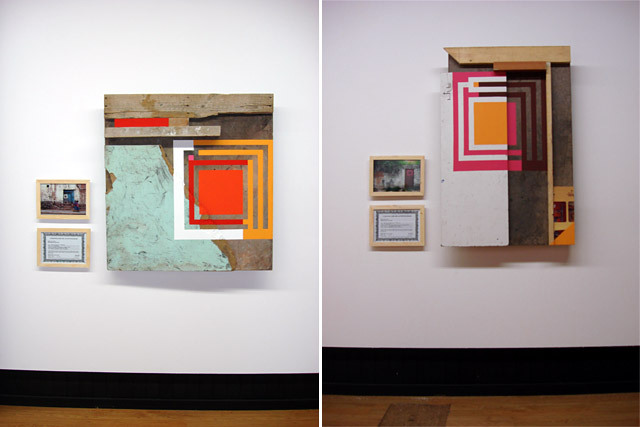 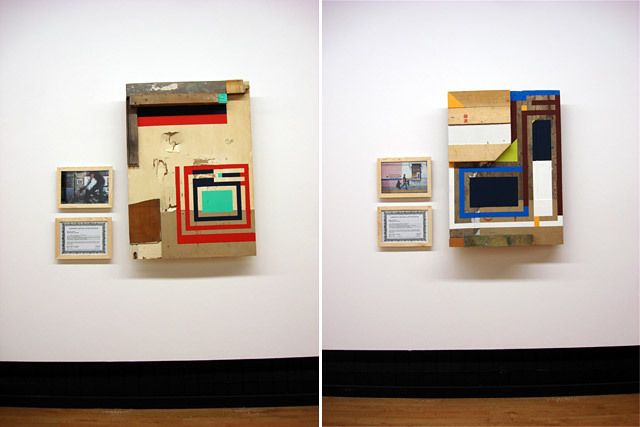 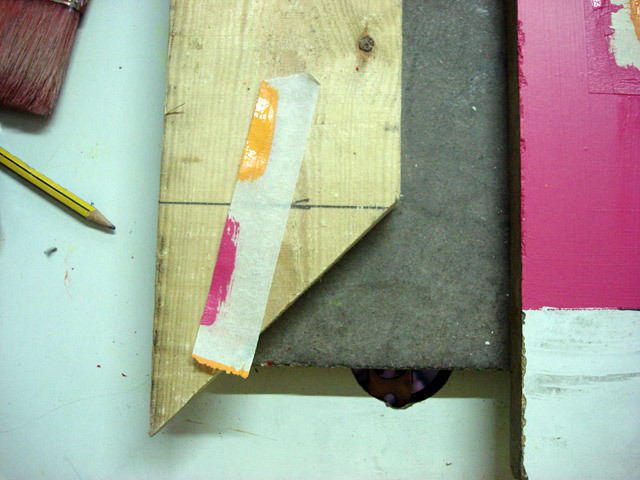 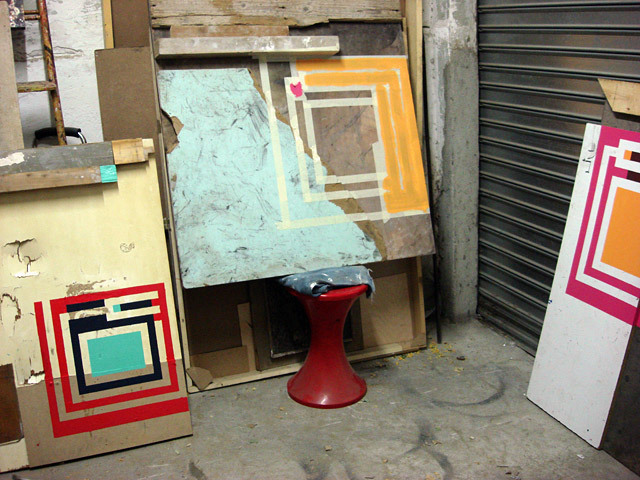 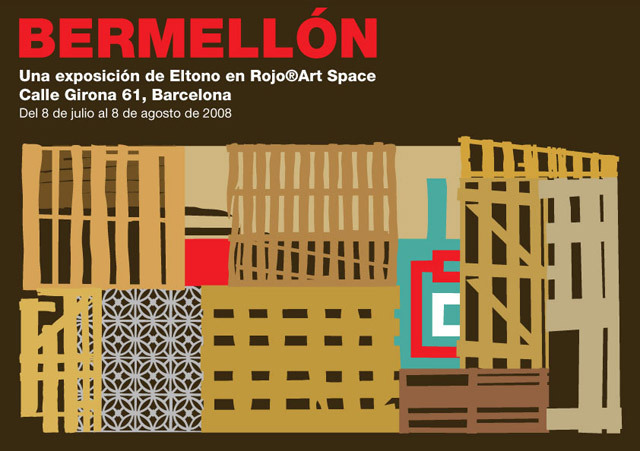 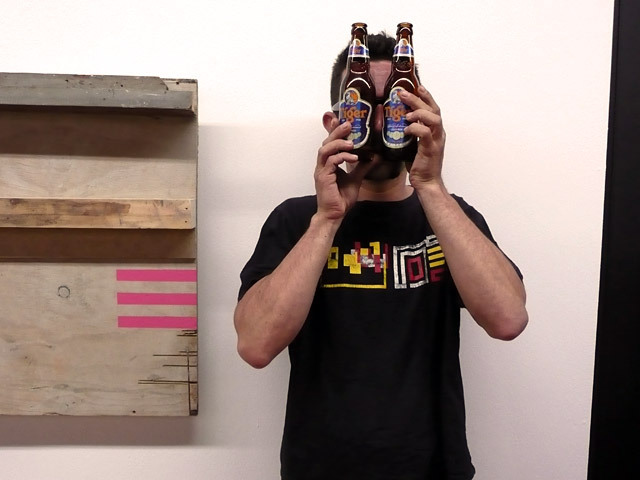 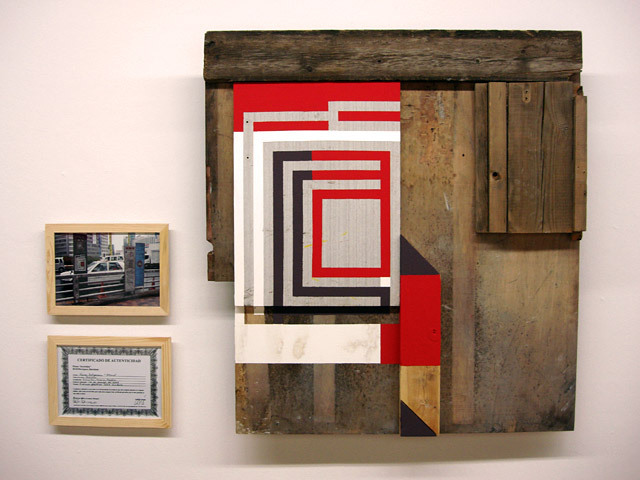 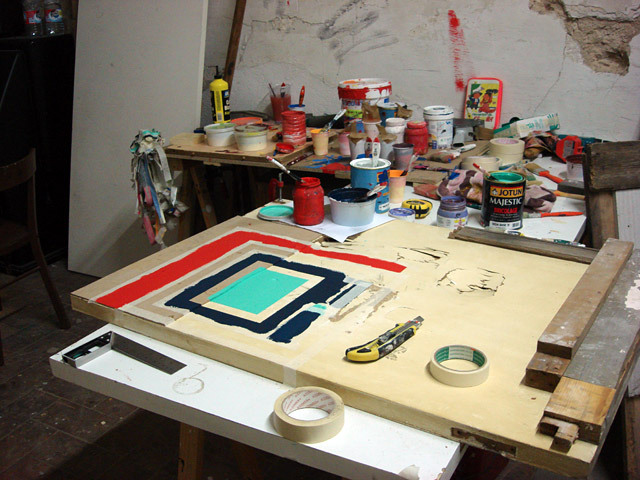 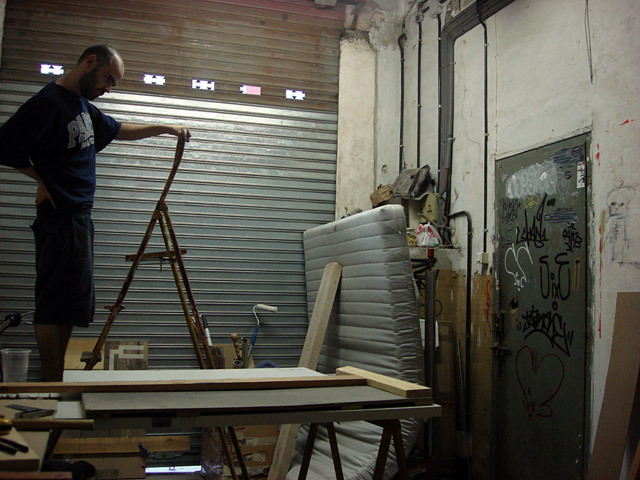 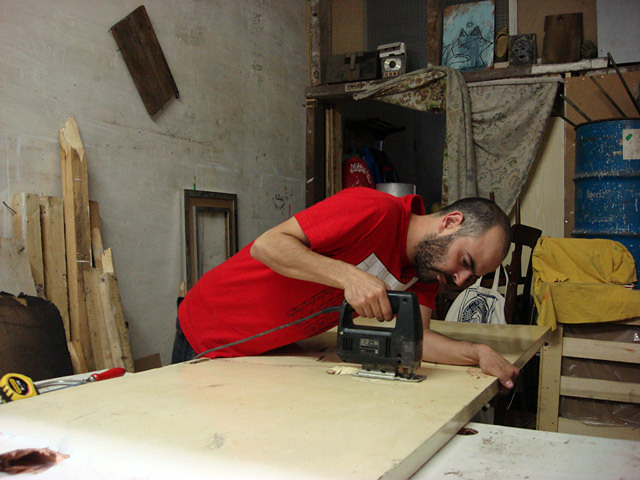 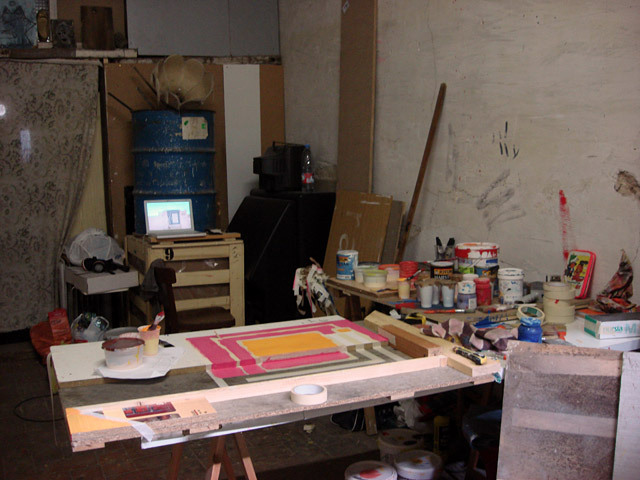 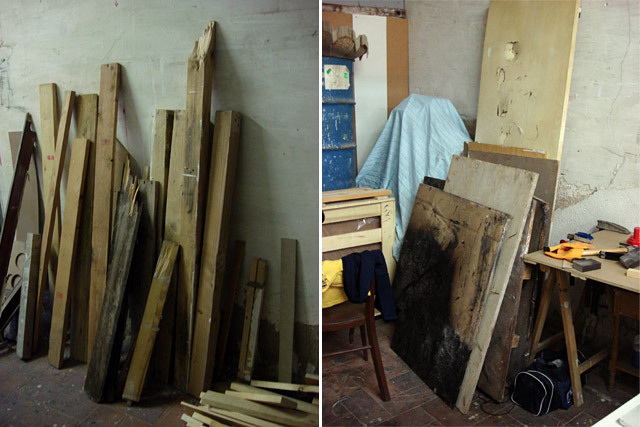 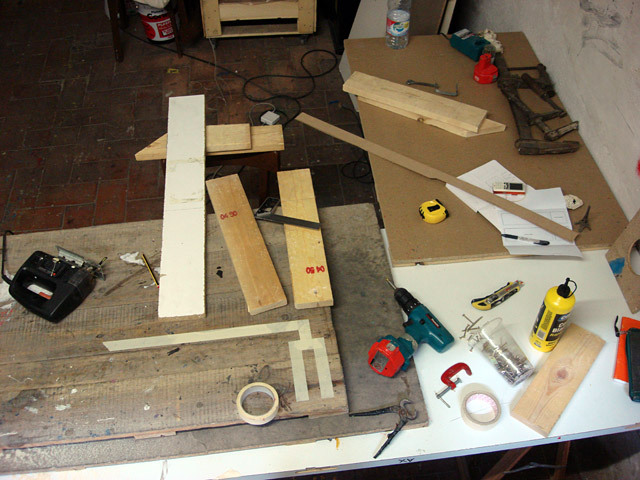 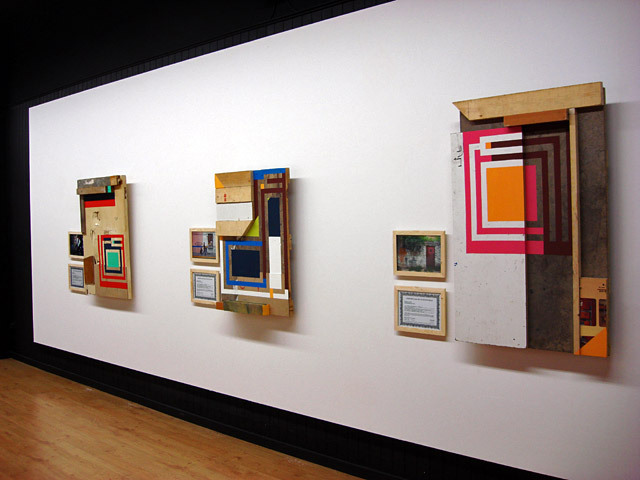 For the exhibition Bermellón, the artist presents/displays collages of wood found in the streets of Barcelona which will use as the support to paint his Invertidos inspired by art originally made in the streets. 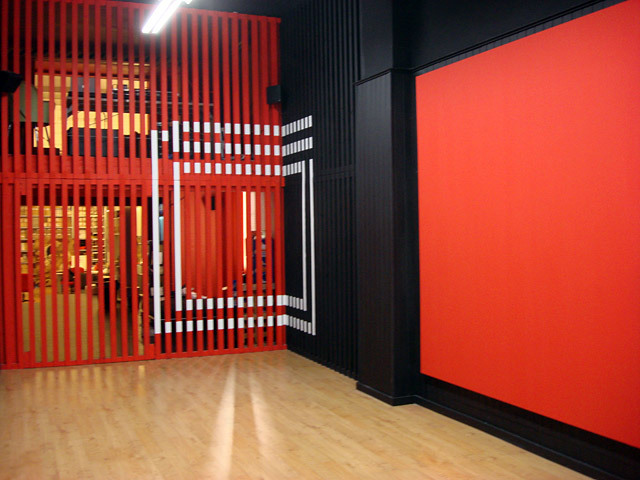 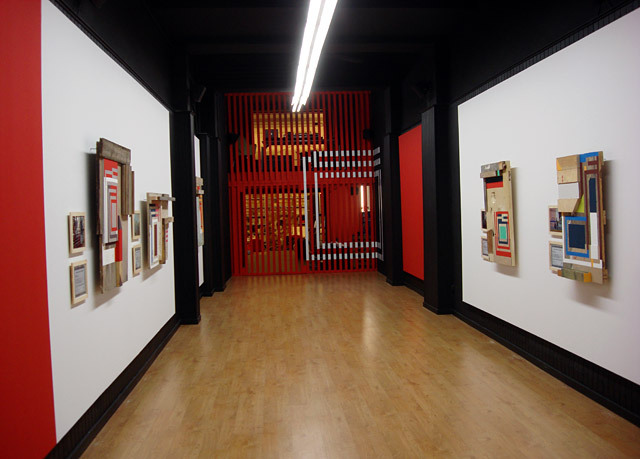 The Invertidos paintings are inverted interpretations of original works that are in the public space, thus, the artist, works with the emptiness makes the reference to the original ones, without reproducing or falsifying them and simultaneously questioning the limits of outdoor and indoor exhibitions. 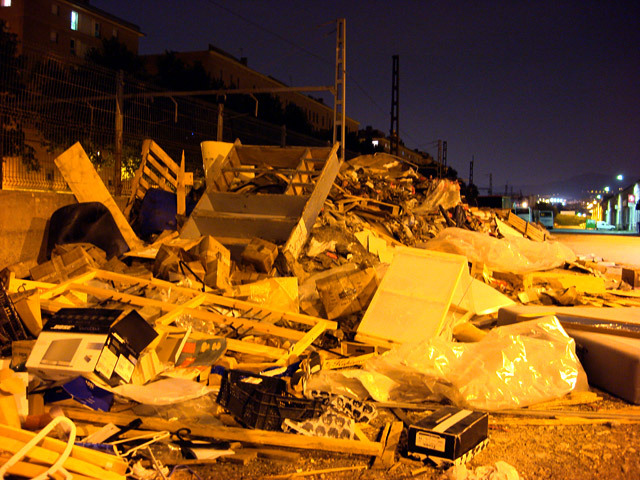 ¡Sant Andreu, Barcelona la nuit!